This book argues that European Union institutional mechanics and the EU as a political unit cannot be properly understood without taking into account the elites that make the policy decisions. Spurred by globalisation, technological and economic development has provided the backbone for social and political transformations that have changed the social structures that unite and differentiate individuals and groups in Europe and their interface with extra-European actors. These developments are not only exemplified by the rise of the EU, but also by the rise of a set of transnational European power elites evolving in and around the European construction. 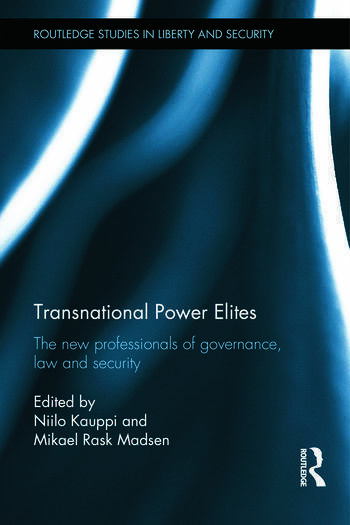 This book maps out these EU and international interdependencies and provides a comprehensive picture of the European transnational power elites. Moving away from the majority of literature on European integration dominated by economics, law, IR and political science, the volume is written from a sociological perspective that takes into account the individuals that make the policy decisions, the formal and informal groups in which s/he is included, as well as the social conventions that regulate political and administrative activities in the EU. This book will be of much interest to students of EU studies, sociology, critical security studies, and IR in general. Niilo Kauppi is Research Professor at the National Centre for Scientific Research (CNRS) at the University of Strasbourg. Mikael Rask Madsen is Professor of European Law and Integration and Director of iCourts – Centre of Excellence for International Courts at the University of Copenhagen.